Zhang Shengdi, an entrepreneur in Fengxiang, Guizhou province, has been working to revive papermaking - her part in the fight against poverty - ever since President Xi Jinping visited Huamao village in June 2015. 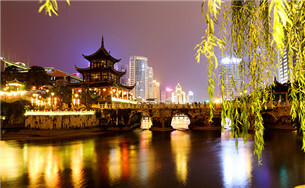 When night falls on Guiyang, neon lights ignite the capital city of Guizhou province. 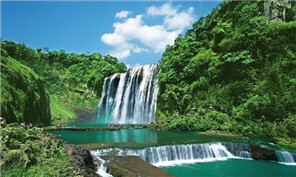 The exhibition showed Guizhou's rapid development over the past five years, with the aim of making people more confident in the province’s future. Standing under the world's largest radio telescope, Yang Tianjue can still make out the site of his old house, which was removed 10 years ago to make way for the project. 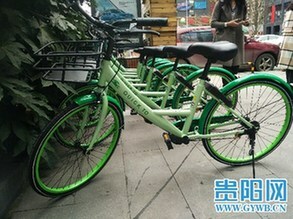 Quick to, an online-to-offline bike-sharing enterprise, has recently put more bicycles onto the roads of Guiyang, the capital of Guizhou province. People living in impoverished conditions now have the chance to move to new homes in Huishui county, Guizhou province. Warm-hearted volunteers doled out bowls oftangyuan to passengers at Guiyangbei Railway Station on Lantern Festival, which fell on Feb 11 this year. Residents of Qingshuihe county welcomed the upcoming Spring Festival with singing and laughter on the morning of Jan 13.